This short film will make you laugh and cry with its overwhelming humanity. The Mimi Foundation wanted to address the fact that when many are diagnosed with cancer, they leave carefree times behind. This project reintroduced that feeling of being carefree, if only for a second, in a way that must be seen to be understood. In the video, we hear from a number of people diagnosed with cancer, many of whom have no prognosis for recovery. 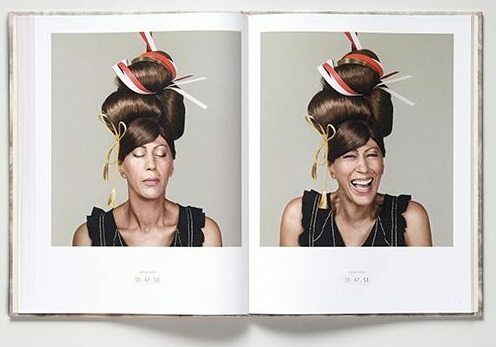 They are invited to a studio by a photographer, told that they would be given “a surprise hair and makeup session,” and made to close their eyes. While unable to see, the impromptu models are made up with beehive hairdos, garish cosmetics, and outlandish fascinators and other props. Cameras were placed behind a one-way mirror to record them as they opened their eyes to a vision of themselves in full bloom. Upon opening their eyes, they are captured in the instant they realize how remarkable and uniquely outrageous they look. In that moment, the last thing on their minds is their illness. It’s this brief, innocent time that gives the work its title: If only for a second (Ne serait-ce qu’une seconde).